Call Now for Towing Service. 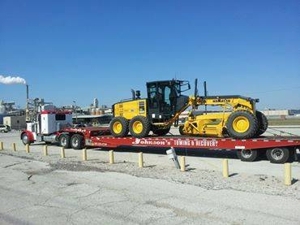 With over 18 years of experience, Johnson's Towing and Recovery has managed to build an unmatched reputation amongst our competitors by offering swift and safe towing services to our customers, 24 hours a day, seven days a week. Our wide range of services includes heavy duty towing, long distance towing, roadside assistance, emergency lockout and more. Call us at (386) 222-2147 today. Copyright © 2018 johnsonstowingpalatka.net All rights reserved.